The 10th parliamentary election took place in Bangladesh on 5 January, under the current Awami League government. This election was boycotted by the main opposition parties and criticism from the international community has been equally intense but the election went ahead as announced. The pathetic outcome has pushed Bangladesh to further division. The main snapshots of the election is as follows, more than 150 seats have been won by the governing party even before the election and a single vote was cast, uncontested!, less than 10% of the total voters came out to vote in the election blowing a huge and gaping hole at the democratic process (though Bangladesh govt. claimed that around 40% vote casted in the election), in many polling stations there were no voters at all. People simply stayed home, in some polling stations a record number of votes have been cast even though there were no real local voters ever visiting the station. The ghost votes were stuffed in the boxed under the watchful eye of the official and security personnel. A few Awami League leaders and members have been caught red handed fraudulently voting. This is nothing new for the governing party, they have a culture of corruption and lies embedded at every level of their party. Nearly 20 people have been killed in the violence related to election, several polling stations have been burned and presiding officers beaten up. The pitiful state of democracy in Bangladesh looks more precarious and this diabolical election will only further polarize people. The Bangladeshi media’s role in the election was also condemned from many corners since many of them are sponsored and implementing govt. agenda through their media weapon. The misconception and misrepresentation of the speech about famous personalities appears as a regular phenomenon. The recent part of it is that about the attendance of the US Ambassador Dan Mozena, the EU Ambassador William Hanna and others at the swearing ceremony of the newly elected ministers. Some went on to say as to construe it as change of positions on the acceptance of elections from the US and others. The US Ambassador said “from our perspective we are not convinced that the results are a credible reflection of the will of the people”. In other words, the US does not accept the elections as credible and has not changed its official position. The EU Ambassador reiterated along the same line of talk. Both wished to see new elections that would be credible. Clearly, there is no shift in positions. The local media twisted the words so much that it lost its meaning and purpose. Is it too hard for the mediums to convey the true side of the story that America is not happy about the elections? Democracy is a geo-political interest of America, nothing new about that. 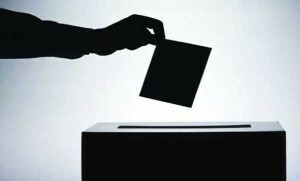 Why can’t Bangladesh hold an election that is acceptable to the world – should be the main concern! Not why the world should accept the election as it is. Interesting enough, after the election AL has been desperately looking for ways to show to its followers and the Bangladeshi population that they have indeed got what they needed, “recognition” from the locals as well as the International community for the recent election win. This “recognition” is a very important factor considering the cultural and historical context of Bangladesh and the consequences related to this factor are far-reaching. The factor provides the necessary legitimacy to sustain in the day to day politics. Support from the superpowers, regional powers and such are very important for the day to day political maneuvering. It gives the local politicians a psychological edge. People tend to support a party on the basis of the parties affiliation with powerful entities. The news of the Chinese greetings to Prime Minister Sheikh Hasina sent a shock wave among the BNP supporters. They were demoralized to an alarming degree. As China was seen as a true friend of BNP through thick or thin, almost to the extent of a “force” they rely on and take shelter in when there is a storm. Nonetheless, this news and others relating to the press brief have already been manipulated by means of careful word choices and interpretations and utilized with cunning political wit by the AL and the supporting media and presses to break the morale of an already demoralized BNP. Statements like these were taken out of context by the AL supporting media/press and the politicians to show to the Bangladeshis that America has “negligible” reservation about the election and that, the issue of disagreement on elections would go away in a short time. They seem to be playing a disingenuous and slick game of having worldwide “recognition” to legitimize AL’s election win in the local political scene. The US later issued carefully crafted counter statements to the manipulations when the media again twisted the US view after the meeting between Nisa Deshai Biswal and Akramul Kader, Bangladesh ambassador to US. The politics of Bangladesh is of a “feudalistic” kind, any official word can be taken out of context and used to further particular political or hegemonic objective, which may contradict the US objective. If we look at the Bangladesh newspapers and media both in Bengali and English mediums, the headlines for the news items were something to the effect of “US to work with Hasina govt” which I thought had a political spin or tone that tried to sway the people to believe that the US is slowly moving towards a truce with Hasina and will not be a hindrance to the running of the current government. They go further into hinting (not explicit, rather implicit) that the US had no other choice but to work with Sheikh Hasina. A crude way of characterizing would be that the US has bowed down to Sheikh Hasina’s iron will even through, it could be quite amusing to the Americans, but here on the ground, that is how the people are manipulated to keep control of the political situation. As long the perception of Sheikh Hasina as an iron hand continues to persist among the common mass, it is much easier for the Government to continue its oppression on the opposition and control the rise of the dissenting voices. The international media has severely criticized the farcical election and put the blame on the ruling party and the authoritarian nature of it. Ellen Barry of the New York Times outlines the true political situation in Bangladesh “With the swearing in of a new Parliament that does not include the Bangladesh Nationalist Party, Mrs. Hasina will effectively introduce one-party rule in Bangladesh”. No way to discard the assessment. In a write up published at the National Interest magazine rightly pointed out that Bangladesh is facing one of the worst times in its history. Widespread Corruption in all spheres of life, lack of Personal and economic security, and others have affected the life in Bangladesh and the root cause is the dysfunctional to non-existent Democracy evidenced by the recent election where political manipulation reached to the criminal level and vast majority of the voters were left out of the electoral process. The growth figures do not tell the real story of Bangladesh. The country is suffering from an array of problems which can be solved by the practice of democratic principles. The US needs to engage more rigorously with the state of Bangladesh to help restore sanity and Democratic principles. A much closer look is very much warranted now. Good to see a Bangladeshi writer covering some basic aspects of the current situation in Bangladesh although the problems are very complex. The US should definitely revisit its foreign policy and make necessary adjustments that would give more emphasis on Bangladesh and take urgent steps before the situation spirals out of control and we see lots of signs of it already. Meanwhile, the U.K. Parliament (House of Commons) held a debate regarding the recent Elections in Bangladesh. The members of the Parliament and the Minister of State, Foreign and Commonwealth Office (Hugh Robertson) have taken a strong stance on the need for the Democracy to continue and expressed their willingness to exert pressure on Bangladesh. The EU also passed a resolution which actually went in favor of the govt. activities to some extent. Mir Rashedul Hasan from USA writes in the Asia Times about the EU resolution on Bangladesh. He raised several questions about EU’s resolution like how cans a victim of regime brutality became “extremist” and a perpetrator of “violence”? And how can socio-religious movement Hefazat put in same bracket as political parties? The overuse of the word “dialogue” carries a different connotation in the minds of the sophisticated and diplomatic circles in America, but America must understand that the counterpart it is dealing with is playing from a different plateau altogether (village politics of Bangladesh if I may call it crudely). America, out of its good wishes for the people of Bangladesh, has taken a much congenial attitude. The spirit of the US’s reaching out to Bangladeshis with logical arguments about the need for dialogue is being construed as signs of weakness. Under watch the of Sheikh Hasina Bangladesh has seen the highest amount of human rights abuse and the largest number of arbitrary arrests, political assassinations, abduction, disappearance and destruction. The core issue in Bangladesh today is people’s democratic right to elect their government in free and fair manner. So, the message is very clear – the Hesikh Hasina’s party had no public mandate to rule and should resign immediately.